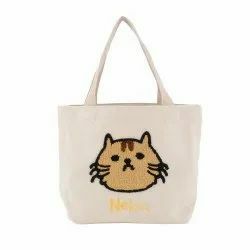 Description: This Cotton Shoulder Bag is made with embroidery panel in front in combination with leather shoulder handle. This Cotton Handbag is usable as evening and party bag also. - Color: Different types of embroideries can be placed on Bulk Orders.